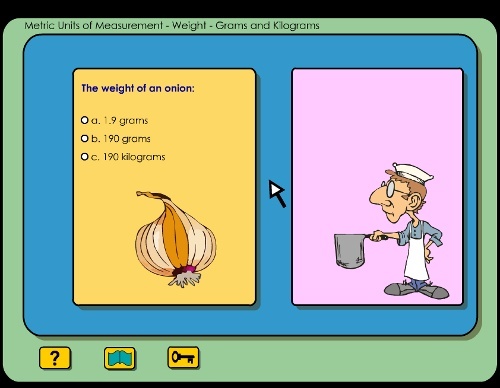 K5Learning is an online reading and math enrichment program for grades K-5. It is intended to be a supplemental program, such as for after-school study, or a supplement to your home school curriculum. K5 Reading has tutorials and activities covering phonemic awareness, phonics, sight words, grammar, vocabulary and reading comprehension. 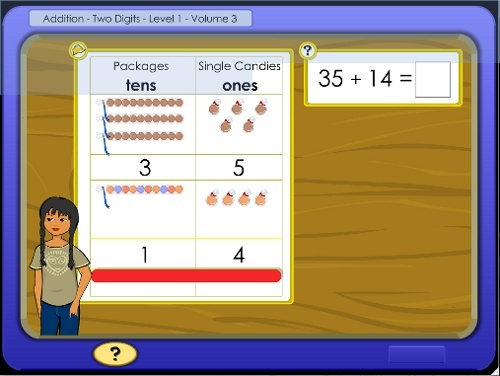 K5 Math has lessons, exercise, and games for all K-5 math topics, and includes numbers and operations, geometry, measurement (including time and money), algebraic thinking and data analysis. K5 Spelling is a simple spelling and vocabulary program, featuring adaptive instruction, automatic word generation, and a 150,000+ word database. So, I feel you do get a lot for your subscription (which is priced at $14.95 per month for the first child). The content at K5Learning has been licensed from three different companies (Learning Today, eSpindle Learning, and Houghton Mifflin Harcourt). Three of their four programs have won educational awards. 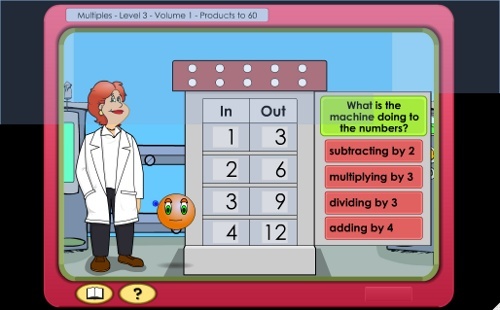 Here are a few screenshots to give you an idea of the activities in the math program. In the program, the screens are bigger than these (I scaled these down to fit the page). To get a MUCH better idea of the lessons, check out the free sample lessons here. Some of the lessons are tutorials, teaching a concept. Some are exercises, and some are games, riddles, or other types of activities. The English lessons were quite varied, just like the math lessons. Since I'm concentrating on the math, I won't review them in detail here. Please see the free sample lessons to get an idea of the English lessons and activities. 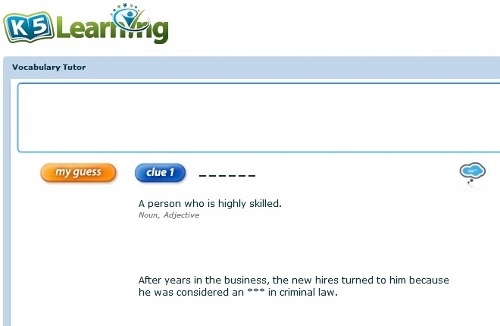 Like other online programs, K5Learning provides an assessment test to get you started and detailed progress reports. I liked the fact that the parent/teacher can assign the student specific lessons from ANY grade level offered in the program. Thus, if your student is ahead in English, but needs remediation in some math topic, you can choose higher or lower level lessons for him/her. I didn't like the fact that you cannot speed through the lessons, which would be beneficial if the lesson is easy for the child. Also, the math lessons don't have a lot of emphasis on conceptual understanding. They do have some, which is good, considering some online programs have none! Thus, this program is better left to be a supplement and not to be your sole math curriculum. For example, it could be a perfect fit for children who like computer activities (most children) or need something to motivate them (the animated lessons & games). Check out the many sample lessons from K5 reading and K5 Math, to get a feel of those two components of K5Learning! The lessons are animated and quite varied in the fact some of them exlain concepts, some have exercises, games, or other activities. They also offer custom worksheets for their subscribers. This was added after I reviewed the site, so I haven't seen these for myself. They are correlated to their flash lessons. I would also heartily encourage you to take their 14-day FREE TRIAL, during which you can explore the four components of K5Learning for free. That way you can find out if your child/student likes the program and would benefit from it as a supplement. K5Learning.com. Subscriptions: $14.95/month for first child; additional children $9.95/month. Yearly plan: $119/year for the first child, additional children $79. A 14-day free trial.